When I was told that a surprise party was being held for my friend, Marlowe, I was definitely excited. It was also to celebrate his chance for an internship overseas. Yay! 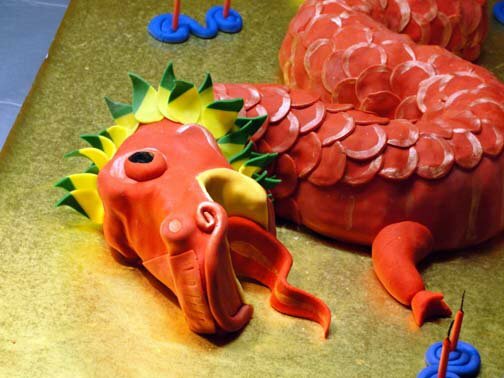 The theme was Shanghai, and nothing else could encompass the essence of China than a fierce dragon. After looking through a plethora of images, I finally decided on what I wanted to create. The only question left was, how?! 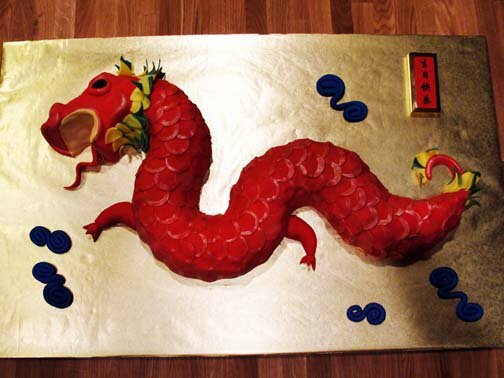 It took a little planning and creativity to create the shape of the dragon. I used two bundt pans and strategically cut and turn the cake into the winding body. The cake received a thin blanket of buttercream and then was covered by hundreds of little fondant circles. 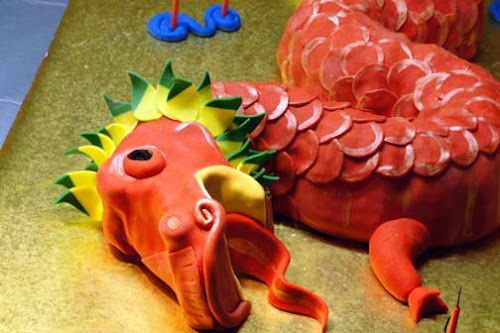 The head of the dragon was then carved out of cake and decorated with fondant, free flowing pieces were left to curl and give its beard movement. A little pearl dust was painted on each scale for some shine and highlighted the details. Oh! and the eye was a flashing strobe! 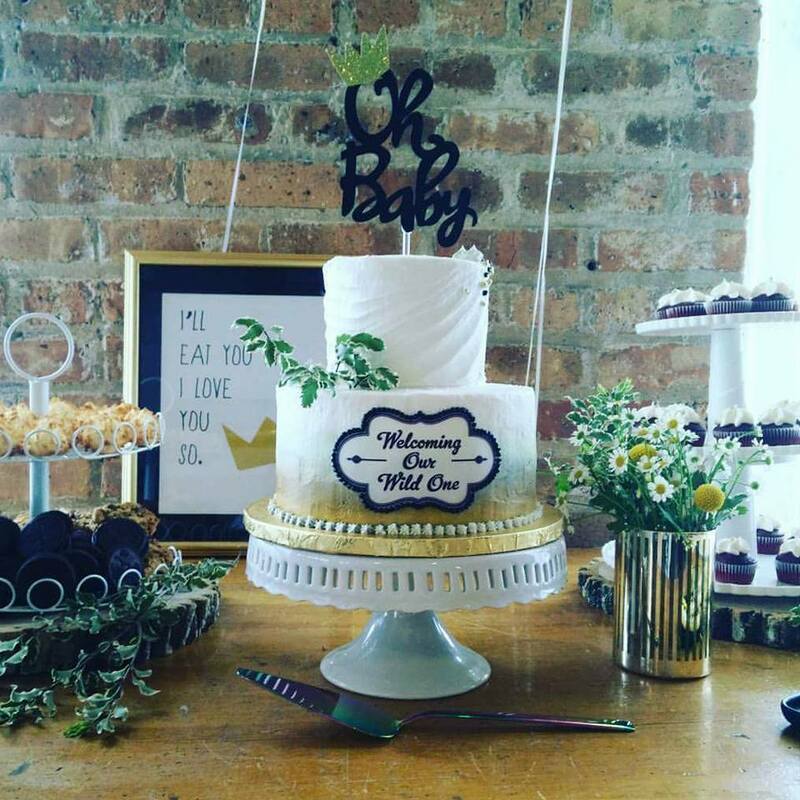 I loved the look on the crowd when this cake came out. What do you think?